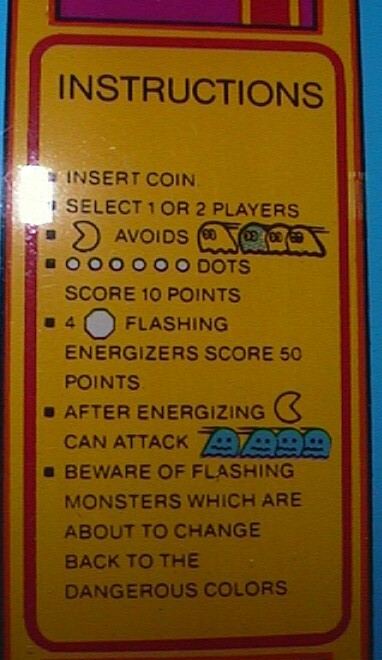 Ms Pac-Man was a sequel to the monster hit Pac-Man. 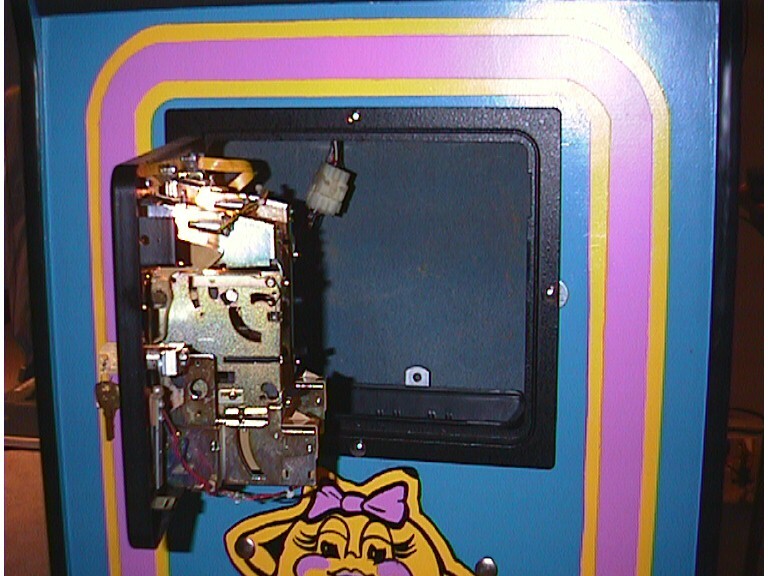 Manufactured by Midway, this well loved game was available in both cocktail and upright versions. 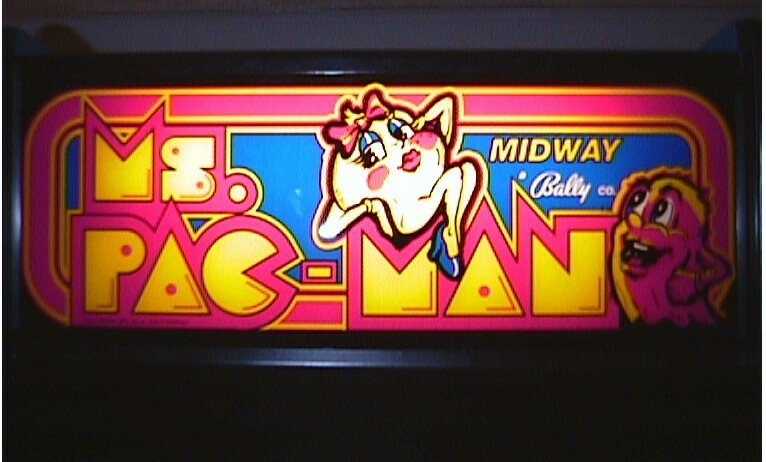 With a simple game play of moving around a maze collecting dots while avoiding the badies; Ms Pac-Man became the love of many. den for some time. When I pushed him to sell it to me he did. This I great I thought. 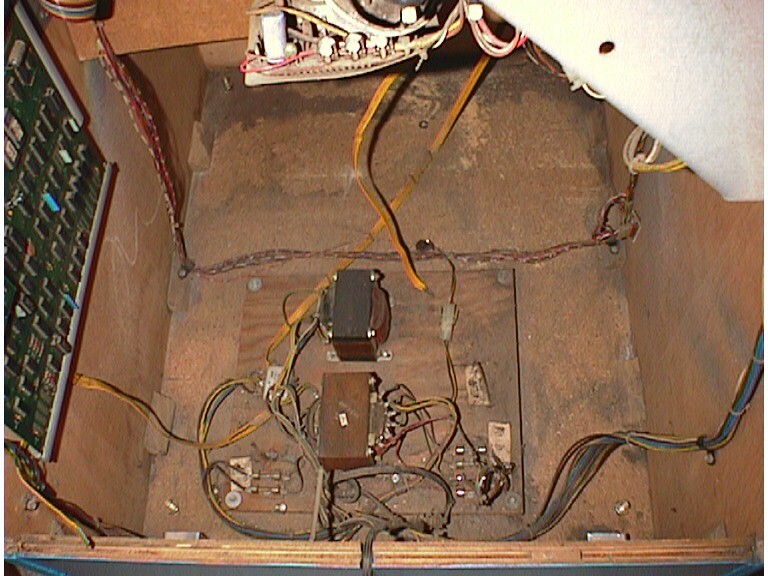 A working Ms Pac-Man that has been out of circulation for a while. It must be in good shape. 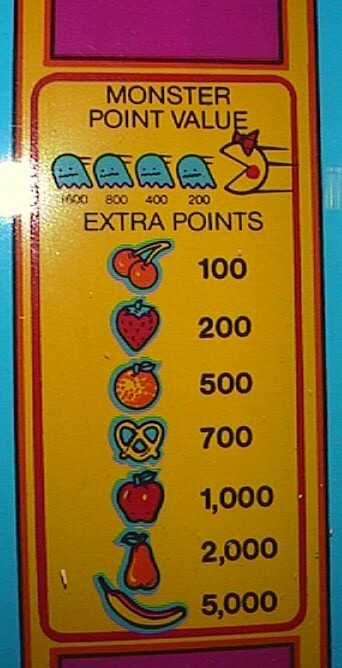 Guess again. on and off so he moved the switch. I like things more stock so that would have to be repaired. stopped working when the owner moved it out of his basement for me to pick it up. 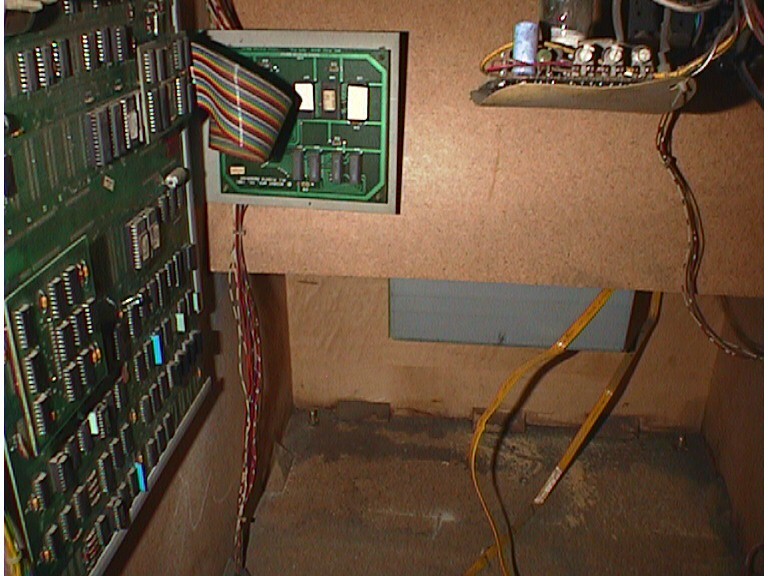 are nothing more then reworked Pac-Man boards with some EPROM changes and a daughter card? 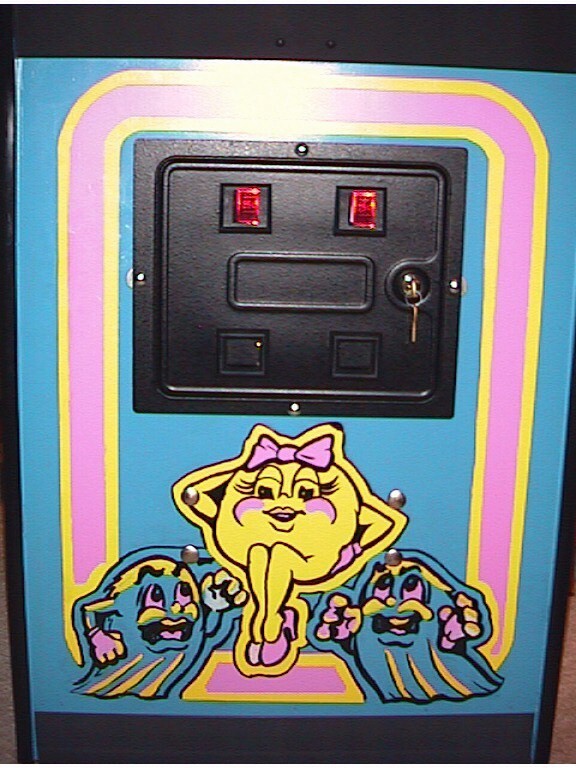 With the game functioning again, I set off on making Ms Pac-Man a pretty lady again. easy and always adds a great finishing touch. 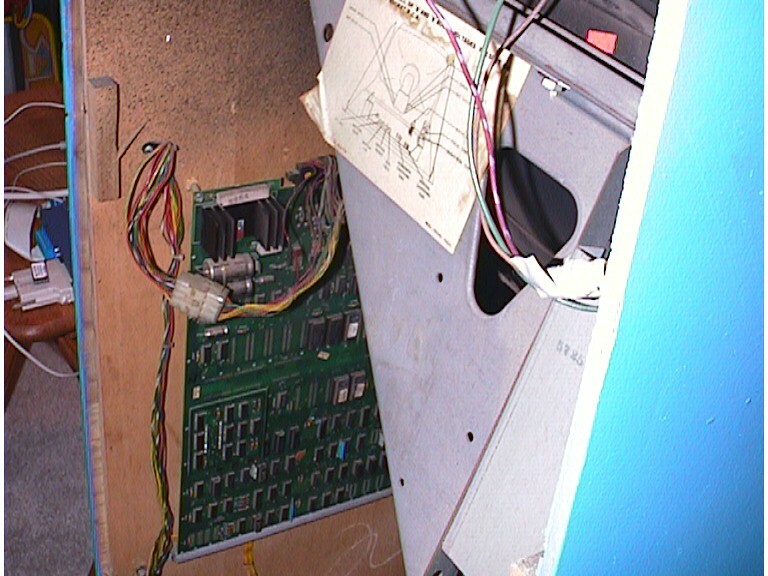 The badly worn control panel overlay was replaced with a new one as well as the faded marquee. The hardest part was the repainting. 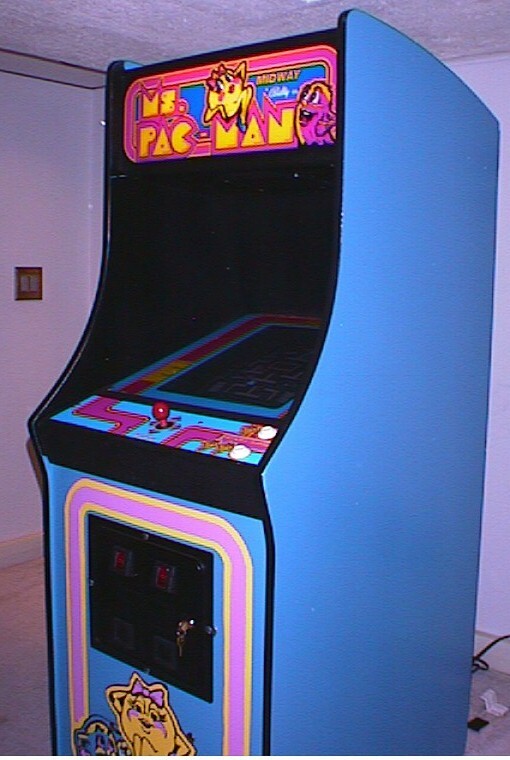 Do you know that the art on Ms Pac-Man is entirely painted? This left me with hours of masking and painting of the lady herself and the 2 ghosts on the bottom. The sides were painted solid blue as repairing both sides would have taken a millennium. 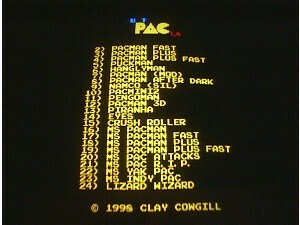 If you to wish to restore a Ms Pac-Man, be sure to check out the FOR SALE links on the previous page. There you will find the links that got my lady looking respectable again. 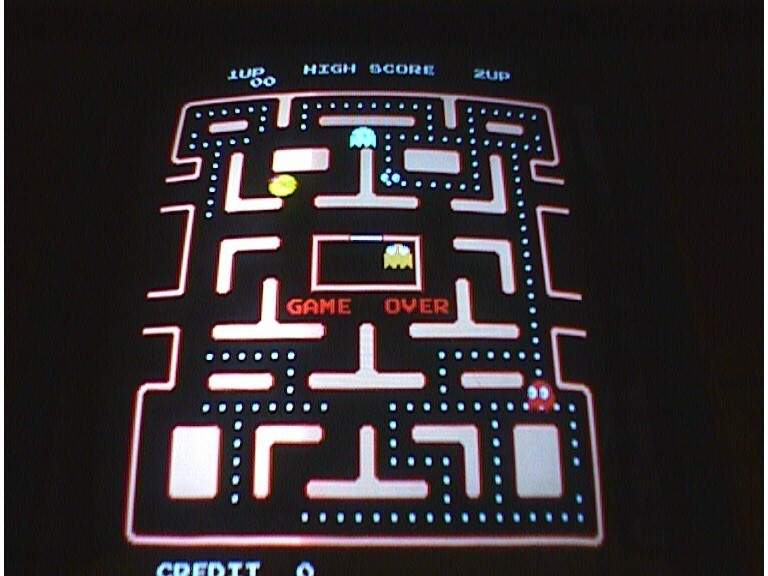 Want to play Ms. Pac Man on your PC? Click Here now!